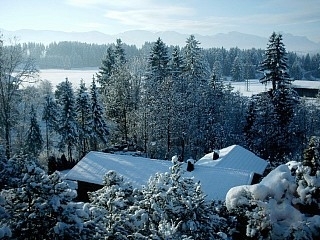 Gorgeous house, reigning supremely over Fussen, offers you the finest views. 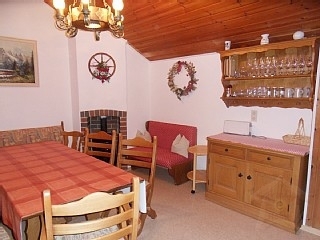 The vacation rental house is noted for its luxury finishes, warm service, and high-end amenities. This is a brand new unit that has been magnificently qualified decorated. You won\'t find a better location to view the impressive sunrise or place to watch the mother whales show their calves to navigate. The house has living space with two large Master bedrooms & 1 bedroom with 2 twins or push jointly for king size bed. The master bedroom has a queen size bed and the 2nd bedroom has 2 single bed, we provide an Air mattress for the extra person. The kitchen is fully equipped as if you were at home and a washer and dryer are available in the villa. It is within walking distance of the beach, downtown Fussen where you will find excellent shopping and restaurants, a new marina. The house vacation rental rates $120 per night. Rates varying upon the season and special rates apply for holiday and special dates. This is a place where everything in life fits in. 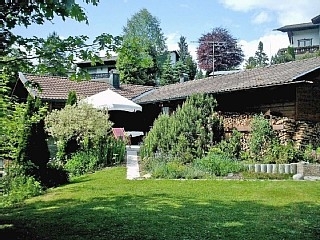 Located close to tourist attractions like castle \"Neuschwanstein\" in lovely landscape of south bavaria.within valley of river lech with its blue green water. South east of bavaria. Austrian border 20 km. Munich 90 km, Garmisch 50 km, Oberammergau 30 km, Fussen 20 km. Public transport by bus. Car recommended.